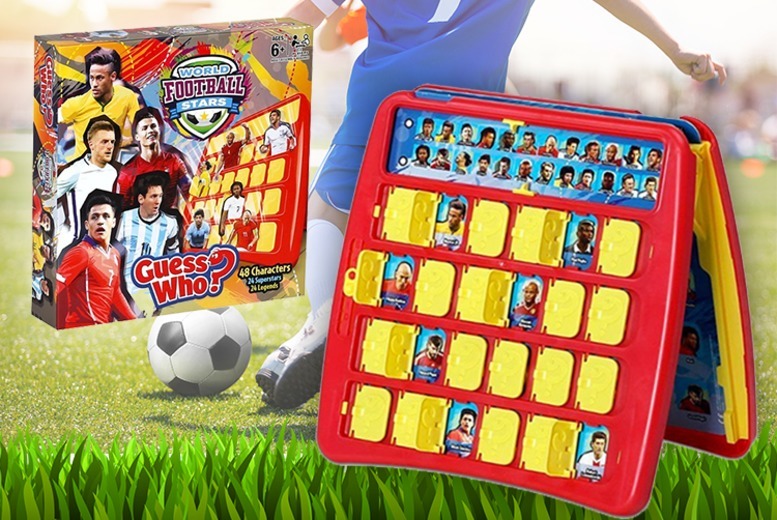 Get a World Football Stars Guess Who board game. A sporting twist to the classic guessing game. 48 players current or classic to choose from. Be the first one to guess the football star by asking the right questions. And test your football knowledge while having fun with your friends and family. Ideal to spice up your cold afternoons and evenings with your loved ones.